A Russian missile submarine has successfully test-fired an intercontinental ballistic missile (ICBM), dubbed the “Sineva” in the Barents Sea in the latest of a series of tests of the country’s nuclear weapons arsenal, the Defense Ministry said. The ICBM was directed towards the Kura rocket test range in Kamchatka in Russia’s Far East and was launched from an underwater position. It marked the 27th successful launch of a ballistic missile from the Verkhoturye sub, the ministry added. 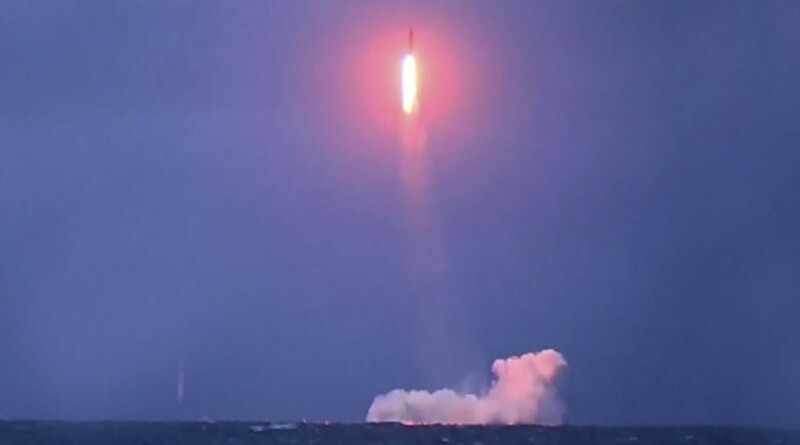 It was the fourth test of a strategic sub-launched missile Russia has conducted this year. In September and again in October, two Bulava missile tests were conducted. In November, a Delta IV-class submarine, the Tula, successfully test-fired a ‘Sineva’ strategic missile.